Ah digital distribution - it's the future, or rather, it's the current popular way to get PC and soon, console games. But it isn't without its problems - namely - big launches don't always go so smoothly. There's only so much bandwidth out there to distribute your game - and when you have a few million people trying to get it at the same time - things tend to slow down. 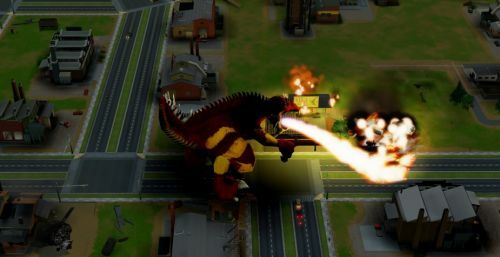 Such is the case with SimCity, which launches today on the PC. If you waited up last night to download the game via Origin, chances are you had to wait a long time for the download to complete with several users reporting the download wouldn't even start. According to the official Origin twitter account, the majority of users who have pre-ordered the game should have their copy by now. The good news is, for the most part, despite SimCity requiring an internet connection to even run - the servers have been fairly stable and there's already 7 million regions to start a fresh new city in. Co-Op is going to be huge in SimCity, if not, required to a certain degree. If you are toiling away at work or school, counting down the seconds till you can go home and fire up the game - we have a few videos that can help scratch that SimCity itch and get you better prepared to jump right into the game. The first one is the most important - it's all about roads - which are the lifeblood of SimCity. The rest of the videos showcases a bunch of challenging scenarios from the game and how they played out thanks to the www.letsallbethemayor.com promo where the internet votes on how something plays out. SimCity is out today on PC and features 16 player online co-op.